Arts & culture magazine with a focus on NJ's Valley Arts District. 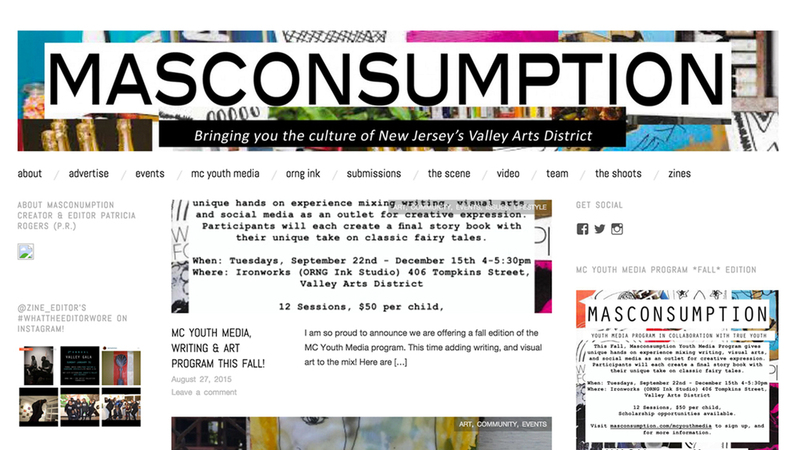 "MASCONSUMPTION MEDIA aims to broadcast emerging talent, dynamic creators and the underground culture in New Jersey's Valley Arts District. Starting in May 2011, MASCONSUMPTION has serves as a voice for the Valley's artists, writers, designers, creators, community leaders, musicians, and entrepreneurs." Website covering all forms of art throughout NJ. Hyperlocal weekly radio show showcasing creative individuals and organizations in the Delaware Valley Region. Hosted by Jacque Howard. "We are an apolitical blog covering the various aspects of business that affect the city of Hoboken and its residents. Our aim is to deliver a high standard of coverage with regards to local business, real estate, infrastructure, government and intersecting topics." "We are a food publication based out of Jersey City, looking to put the focus of social media on smaller, local businesses. We are excited to provide Jersey City with a new and unique insight into food and spirits. Our goal is to recognize and promote the hidden gems of our lovely city." Comprehensive guide to breweries, brewpubs,and startups in NJ. 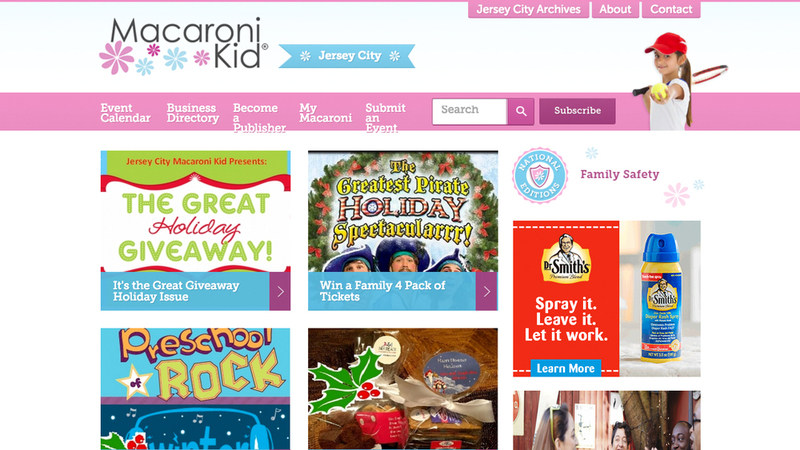 Online local resource for kids & families.